Seasonal asthma can cause your symptoms to worsen with the change of weather. Don’t let seasonal asthma ruin the wonderful burst of life that happens with the change of seasons. When spring and fall arrives, flowers and leaves change colors, the cycle of life continues. For those who suffer with asthma, this chronic condition can be painful. But with the right treatment plan, you can go back to enjoying the great outdoors. Seasonal asthma is finicky and can be triggered by any airborne allergen. Trees, grasses or flowers are suspects because they release pollen in the air on a regular basis. While symptoms in the spring are triggered by high levels of pollens, symptoms in the fall are usually set off by ragweed. While this disease may seem harmless, it can lead to other breathing complications. It can result in more severe respiratory problems such as bronchitis that require hospitalization. Although spring has the highest pollen count, some people find the hot, dry summer heat can make their breathing worse. 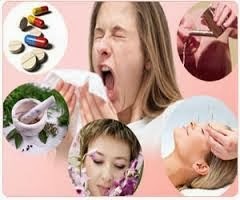 Seasonal asthma is when we experince inflammation and constriction of the airways caused by allergens such as pollen. Pollen appears in the air around spring time and can lasts throughout the summer. As the trees start to bloom and the pollen gets airborne, they start to affect people who suffer from allergies and asthma causing irritations, such as sneezing and coughing, which is what causes the inflammation and constriction of the airways. Seasonal asthma can also be refered to when our asthma is affected by colds and flu virus, which usually occurres during the colder months of the year. This is why it is extremely important to keep our immune system healthy, which could help keep cold and flu away, thus, keeping asthma under control as a bonus! :) Your doctor/GP should also provide you with a flu vaccination around the cold months period to help your body fight against cold and flu viruses. What are the symptoms of Seasonal Asthma? Be careful with fall and spring. It is important for you to be aware of how your symptoms react during the different seasons. Some people get a lot worse at these times because of allergens in the air. 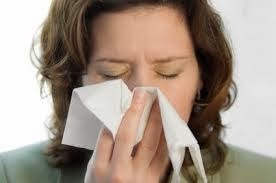 If you have allergies, the symptoms might also include watery, red eyes, sneezing, and a runny nose. If it gets worse than this, you should seek medical help. The fall and winter months may bring both cold weather and respiratory infections like colds and the flu. There are treatments available to help with seasonal asthma. These include the flu vaccination, allergy medications, which you could purchase at a chemist or pharmacy, natural home remedies for asthma and last but not lease your medications for asthma, ie your inhalers. Boost your immune system by keeping colds and flu away and you will effectively help keep your asthma under control. You can achieve this by eating a lot of fruits that are particularly high in vitamin C ie oranges, West Indian cherries, apricots, tangerines, mandarins and grapefruits. tips for reducing allergies and asthma article and learn how to keep symptoms under control. You can also use an air purifier to eliminate pollen and dust in your home. During the colder parts of the year, it is IMPORTANT to dress warm particularly in the chest and head area. It is not difficult and you can do this by wearing a hat and/or scarf. Your inhalers or medications should be taken as prescribed by your doctor at all times, even when you feel perfectly fine. Use your asthma products daily to closely monitor your breathing. If you feel that it is getting worse, then seek medical help. Use asthma breathing exercises to open up the airways and release stress. If necessary, go to emergency room if your symptoms get severe. Always remember that this disease can occur at any time of the year. Since your lungs are already sensitive and can react to any allergens, you are in constant danger. But with the right treatment, you can spare yourself from the pain of an asthma attack. The first step is to know your triggers and to have a home maintenance plan. You may use home cleaners to filter out the pollen and ragweed from the air. There are also allergy control products and allergy cleaning products that can lower the amount of allergens in your home. What Do You Do During an Asthma Attack?